Tobacco & Mint is based on dry and smoky Middle Eastern tobaccos and relatively moist North American tobaccos. 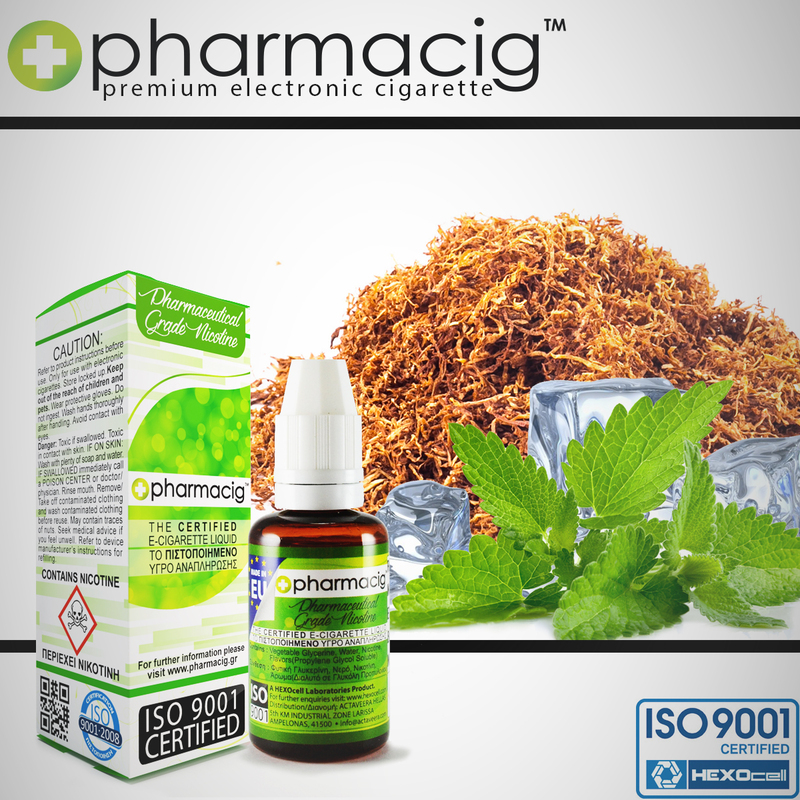 The deeply aromatic and flavorsome nature of these tobaccos are fine tuned with just the right amount of minty menthol. The net effect is amazingly realistic, vaping with Tobacco & Mint is incredibly similar to smoking a menthol cigarette! It has a solid vapor profile with beautiful, creamy chunks of white clouds. Without a doubt, the best aspect of Tobacco & Mint is the throat kick. The tickle and tingle starts at the taste buds and reaches maximum levels of pleasure when drawn down into the lungs. Tobacco & Mint has everything you expect from a premium blend - massive clouds, flawless flavor transmission and a majestic throat kick. Once you find your sweet spot, Tobacco & Mint will become one of your go-to vapes! ISO 9001 Quality Certified European Product Pharmacig liquids are produced in the EU by HEXOcell Laboratories using the highest quality ingredients available. Want to learn how to say electronic cigarette in 92 different languages? Superb vape tricks, simply the BEST video! Connect with us and stay updated with useful news & offers.